A couple of days ago we took part in Butterfly Conservation’s Big Butterfly Count. You spend 15 minutes in a sunny spot, count how many butterflies you see, and submit your sightings online. I knew the buddleia outside the kitchen would be teeming with nectar-lovers desperate for a late afternoon fix. But I couldn’t face spending quarter of an hour breathing its sickly scent. Instead, I set my almost-four-year-old up with her identification sheet between two borders stuffed with rudbeckia, dahlias, gaura lindheimeri and verbena. Last year’s verbena bonariensis survived the winter and has come back as tall and willowy as ever. We’ve also grown verbena rigida for the first time. What it lacks in height (ours is about a foot tall) it makes up for with an intense, almost glowing purple haze of flowers. 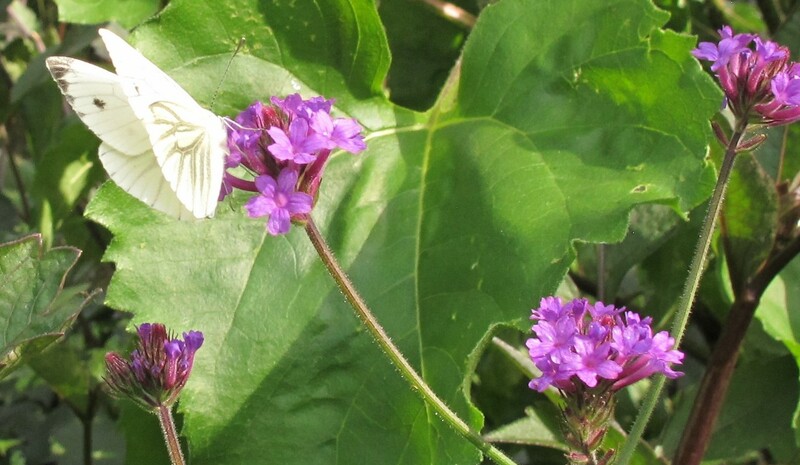 Both varieties are popular with butterflies. After watching closely for 15 minutes, you notice how they are repeatedly drawn to the same plants. M thinks she counted 23, but there was a bit of doubling up as she’d count them twice if they fluttered off and back again. The true total (I think) was 10: 1 green-veined white, 1 peacock, 1 painted lady, 2 commas and 5 small tortoiseshells. Her enthusiasm, and the fact that she completed the full 15 minutes without flitting off herself, made me think M might be ready to have a go at raising a butterfly from a caterpillar. We’re probably too late this year, but perhaps we’ll try next summer. It was good to take some time out to look at the garden. The dahlias and verbena have been in full swing for a couple of weeks now, and seem to have plenty of life in them yet. 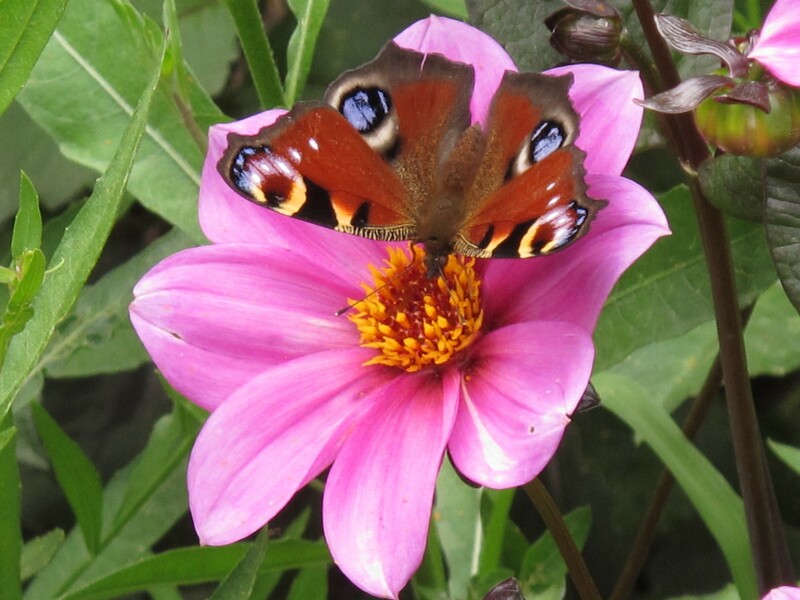 There are lots of other nectar-rich flowers around the place too: cleome, cosmos, eryngium and sedum are all blooming – or about to. We’ve managed to close the hungry-gap between early and late summer. 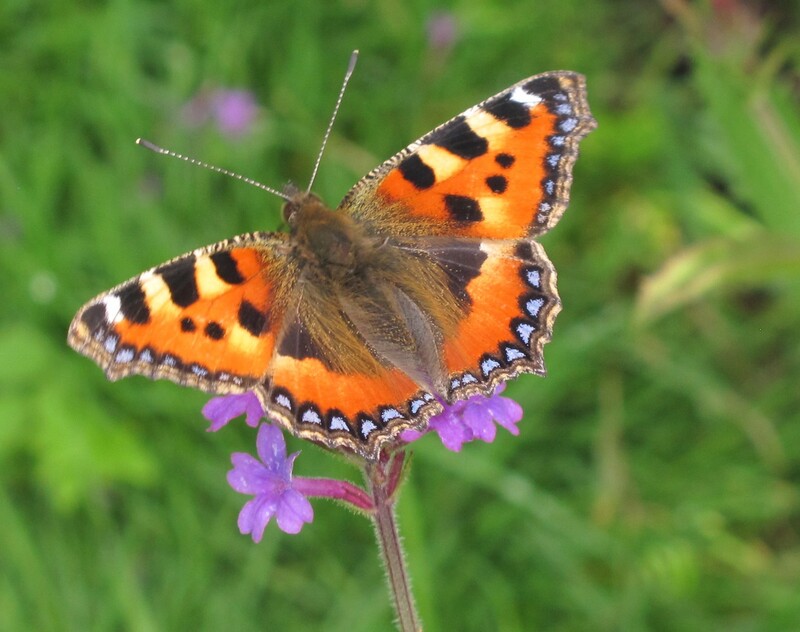 If you live in the UK and want to take part in the Big Butterfly Count, it’s running until Sunday (10th August). Find out more here: http://www.bigbutterflycount.org/ . If you like it here, sign up for more: enter your email address to receive notifications of new posts by email.